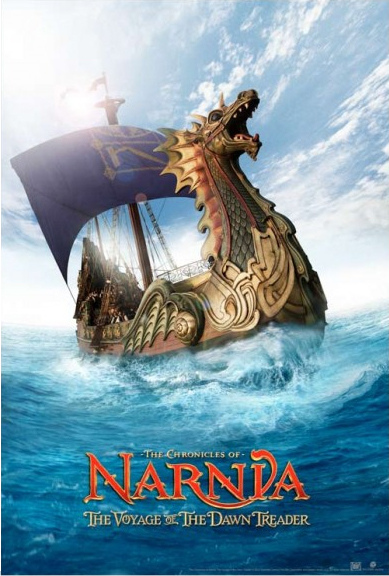 “The Chronicles of Narnia: Voyage of the Dawn Treader”, based on the 1952 novel by C.S. Lewis, is the best film of this latest franchise interpreting the fantasy series — and the first in 3D. The cinematography is gorgeous and the fusion of CGI (computer generated images) and real characters seamless. Even more outstanding is the script that never stalls and blends characters, plot, and themes in ways that entertain and inspire. Directed by Michael Apted, “Dawn Treader” reflects a marked departure from the style of director Adam Adamson’s approach to “Prince Caspian” (2008) that chose action over story. 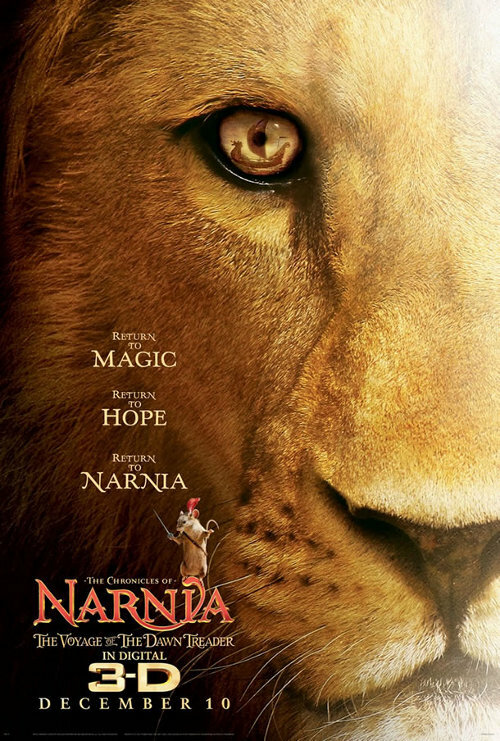 Walden Media and Disney partnered for “The Lion, the Witch and the Wardrobe” (2005) and “Prince Caspian” (2008). When Disney withdrew from the current film, Twentieth Century Fox stepped up. In “The Lion the Witch and the Wardrobe” the four Pevensie children, Lucy (Georgie Henley), Edmund (Skandar Keynes), Susan (Anna Popplewell) and Peter (William Moseley) are evacuated from London to the country home of a relative during World War II. Led by the youngest, Lucy, the children venture through a closet to discover Narnia. It is a parallel world where the children encounter new creatures; temptations; goodness; magic; a witch; and Aslan, who teach them and Narnians sacrificial love. Carrie Underwood sings the theme song “There’s a Place for Us” – lovely.